Convert MOV to smaller size via the default setting automatically. 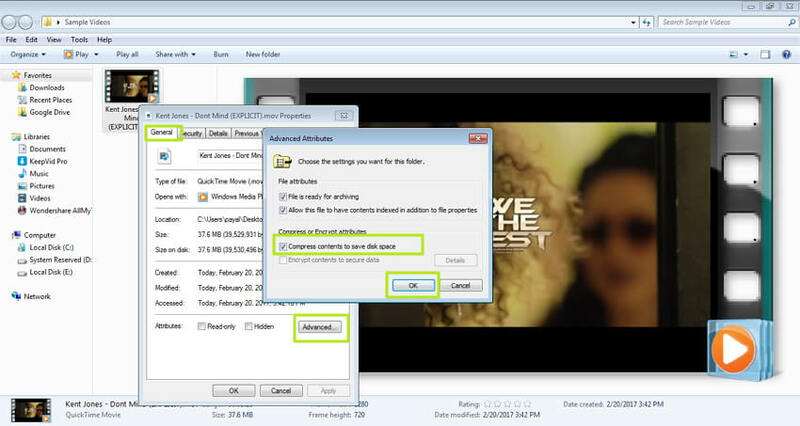 Reduce MOV file size by adjusting video parameters including bit rate, resolution, format, etc. Crop, trim, and cut unwanted parts of MOV files and make other editing features. 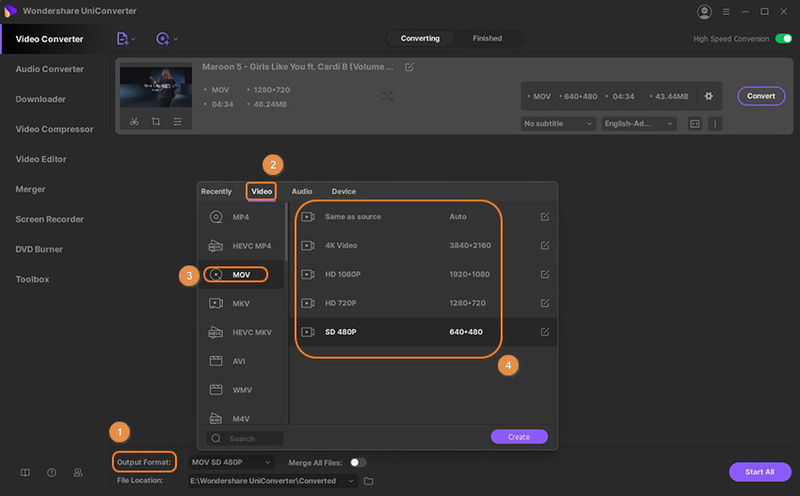 Versatile toolbox combines screen recorder, GIF maker, cast video to TV, and fix video metadata. Sometimes you may find your QuickTime MOV videos taking up too much space on your devices, or time-consuming when sending them to others, then you should consider how to make a MOV file smaller. To help you easily make it, Wondershare UniConverter (originally Wondershare Video Converter Ultimate) is a must-have tool. 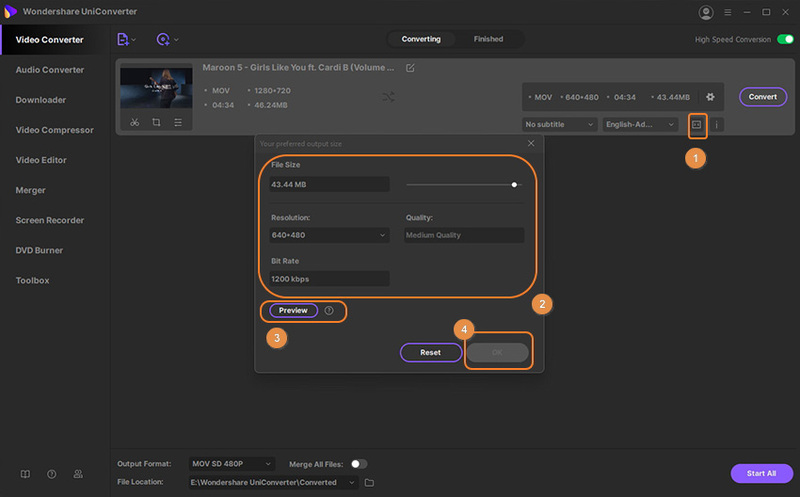 It enables you to make QuickTime MOV smaller either by adjusting the video parameters based on your needs or automatically reduce MOV video size via default settings. Now check out the instructions below to learn how to make MOV smaller step by step. Wondershare UniConverter (originally Wondershare Video Converter Ultimate) is the best tool for PC/Mac to reduce MOV file size without losing quality. It allows you to change video format, bit rate, frame rate, encoder and more other settings to reduce MOV file size. 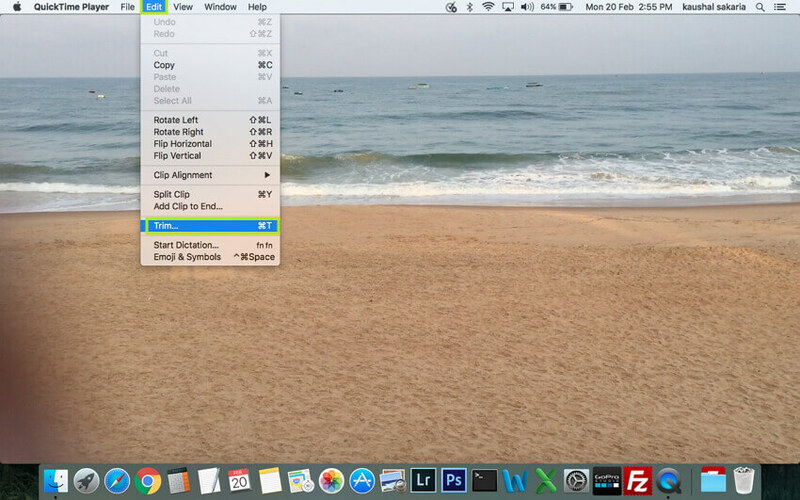 Editing features like cropping, trimming, rotating are also available so that you can cut the unwanted parts of your QuickTime MOV files. Moreover, converting MOV to a smaller-sized format like FLV can also be done easily, over 1000+ video and audio formats are supported by it. 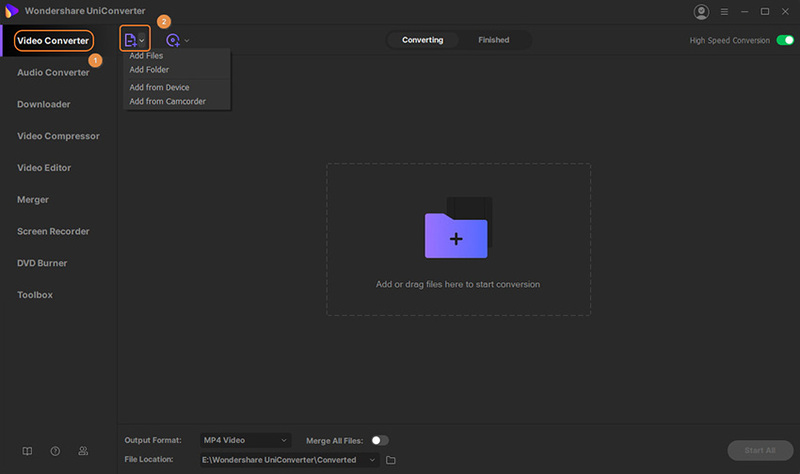 Wondershare MOV compressor is an all-in-one video tool which has more additional functions like downloading YouTube videos and playlists, burning MOV to playable DVD/Blu-ray disc, transferring MOV videos to iPhone/Android devices, etc. Before proceeding with the tutorial of reducing MOV file size, let's download Wondershare UniConverter (originally Wondershare Video Converter Ultimate) and quickly install it on your computer first. Both Windows and Mac version are available here. Launch the program and click the Add Files button to browse your file folder and select the MOV files you want to reduce size. You can also directly drag them into the primary window. 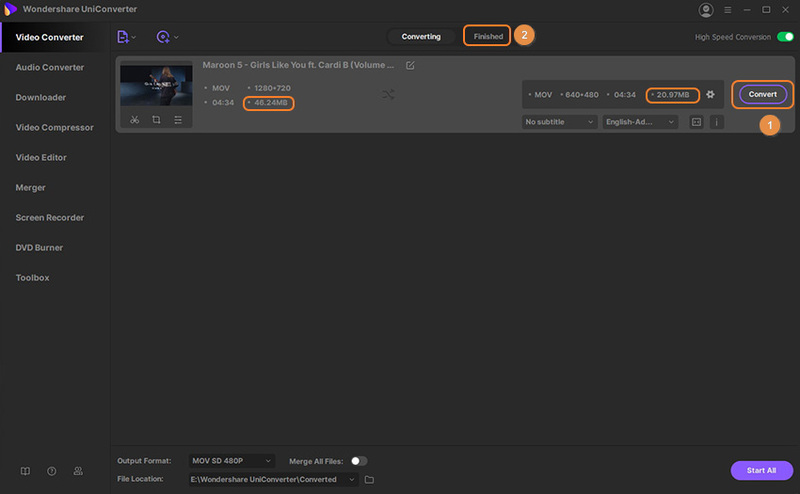 You can select the output video format from the Convert all files to: button. Click the drop-down menu to open the format list, and then click the Video tab to find MOV and choose a resolution. 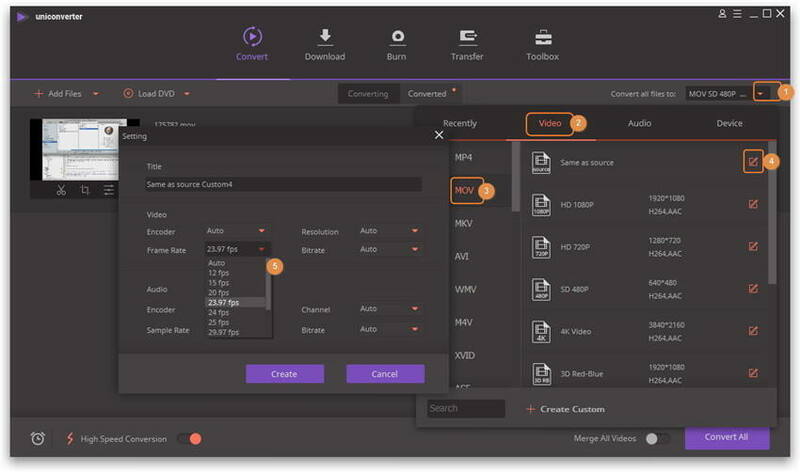 You can convert video formats if you want. You can also click + Create Custom to get the Setting window and manually change the settings like resolution, bit rate, frame rate, encoder. Click the compress icon on the Target bar to make your MOV file smaller. A new window will open up, from where you can change video resolution, bit rate, quality, and file size easily. You can Preview the compressed video for 20 seconds, and click the OK button to save all changes. 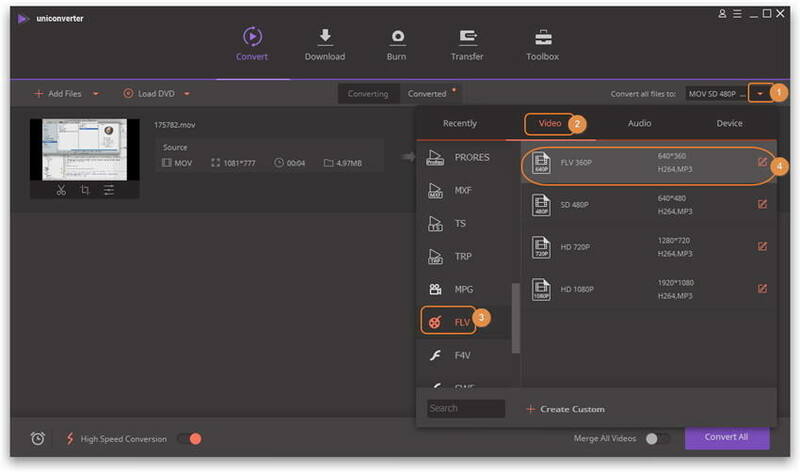 You'll find the target MOV file size reduced after your customization, then click on the Convert All button to convert and save the newly-compressed MOV files. To get the converted smaller MOV files, you can switch to the Converted tab after the compression process finished. Below also lists 5 other useful tips to help you to make MOV smaller in file size. One of the easiest ways to make your MOV file smaller is to compress its contents. To do so, locate your desired MOV file and right click it to choose Properties. Next, go to General > Advanced. Mark the checkbox next to Compress contents to save the disk space. After that, click OK and the file will be saved in a smaller size version. There are some output formats occupying more space, whereas some like FLV takes less. Thus, you can choose the format that has a smaller size. For example, you can convert your MOV files to FLV so that your files become smaller without any extra efforts. You can adjust the frame rate and other specifications of your MOV file, as the lower the frame rate is, the smaller the file size is. You can do this on a free frame rate converter, many of which are available online. Just import the file, go to Profile Settings option and change the specifications. While entering the specifications, you can enter lower frame rates so that the file size becomes low. Add your MOV files on QuickTime and edit the resolution of the videos by clicking File > Export and selecting the desired resolution. Do not lower it too much or else the video will become pix elated. Reduce the resolution so that you will get a smaller file. This can also be done on file conversion software. You can download MOV compression software or use a free online tool to trim or crop it to a smaller size. Just Import your file into the program and trim/crop it according to your needs. 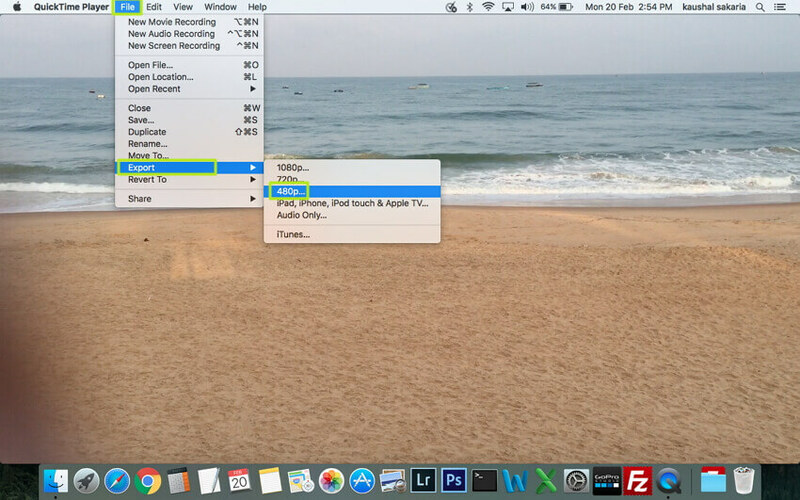 Note that QuickTime player allows you to trim files.